About the Book: (from cover) When Anna was little, she and hermother used to search for sea glass, but since they looked at night, theycalled it moonglass. Now, ten years after her mother'smysterious death, her father is working as head lifeguard on the same beachwhere her mother grew up and her parents first met and fell in love. Reluctantto get close to anyone (including her father) and not pleased about having tostart at a new school, Anna begins to spend more time alone, running the lengthof the beach and wondering about who her mother really was. After meeting alifeguard named Tyler,she slowly lets her guard down and together they start exploring the abandonedhouses that dot the beach. But when learning more about hermother's past leads to a painful discovery, Anna must reconcile her desire forsolitude with ultimately accepting the love of her family and friends.Moonglass is a dazzling debut from an undeniable talent. 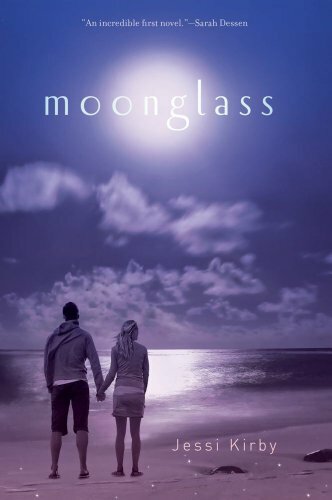 GreenBeanTeenQueen Says: Moonglass is a contemporary debut about a girl searching for answers about a mother she hardly knew. It's an emotional story and one I would hand over to fans of Sarah Dessen and contemporary romance. There is some romance, but it's not central to the storyline, so it doesn't feel like it's only a contemporary romance. This is more Anna's journey to discovering the truth about her mother and coming to terms with her past. Anna is a likable main character. I liked that she was strong and smart, yet also had awkward moments when it came to Tyler or making new friends. She just felt normal and real, which I liked. I also loved that I never found her to be whiny or complaining-instead her emotions felt real and they never felt over the top which I appreciated. The supporting characters are fun, but I wish some of them could have been fleshed out just a bit more. I would have liked to spend more time with Jillian, Ashley, Andy, and even Anna's father. I would have also liked a bit more about Anna's mother. We get glimpses of her here and there, but I felt like that part of the story could have been drawn out a bit more as well. I think I expected to learn more about her mom since it seemed like there was a big mystery about her, but maybe it not being a huge twist or surprise lends to a more realistic story. Moonglass is a bittersweet, emotional story and a solid debut from author Jessi Kirby. The ending is powerful without being sappy and the whole book had a nice realistic quality to it, which made me like it even more. I'm sure this one will have fans at my library as soon as I booktalk it! A good pick for libraries looking for contemporary fiction, Moonglass is a debut worth checking out. Want to win a copy of Moonglass? 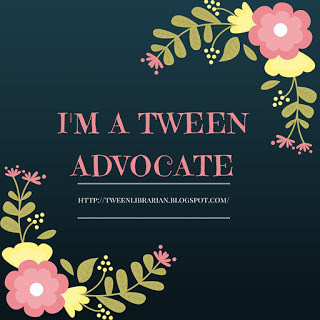 Two (2) readers will win a copy! All you have to do to enter is fill out the form below. Thanks for the giveaway, Sarah! I think my teens would love this book. Hope to get a copy for my library. Thanks for the review. I've been hearing lots about this lately and want to read it. This sounds like a nice summer read :) Thanks for the giveaway!